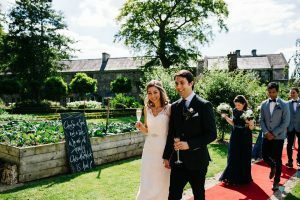 A Humanist wedding ceremony is very much about you, the couple – it’s about two people celebrating their love for each other and making a commitment to one another in the company of those who are closest to them. It is a non-religious ceremony designed to be a positive option for those who share the same philosophical belief system and general outlook as Humanists. To find out more about how the process works, how to book me as your celebrant, what you need to do about giving notice of your intention to marry and much more, please read Wedding FAQ. And to see testimonials and photos from wedding ceremonies I have conducted, please go to the Wedding Gallery & Thank-you’s page. I live in north Dublin and am happy to travel to venues about an hour’s drive from Dublin 13. For wedding enquiries please email siobhan@siobhanwalls.com including your date and venue in the subject line.